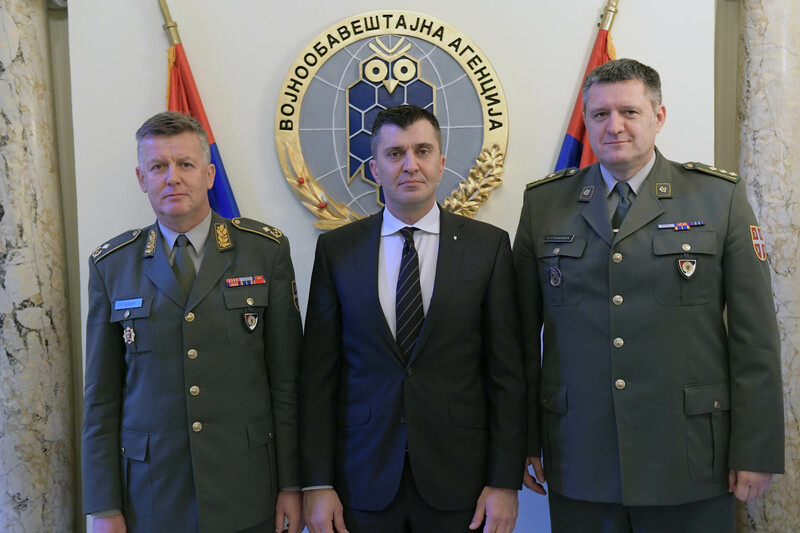 The planned handover of duties and responsibilities was held at the Military Intelligence Agency (MIA) of The Defense Ministry of the Republic of Serbia between the former director of MIA brigadier general Slavoljub Dabic and colonel Zoran Stojkovic, deputy director of MIA, in the presence of Minister of defense Zoran Ðordevic. 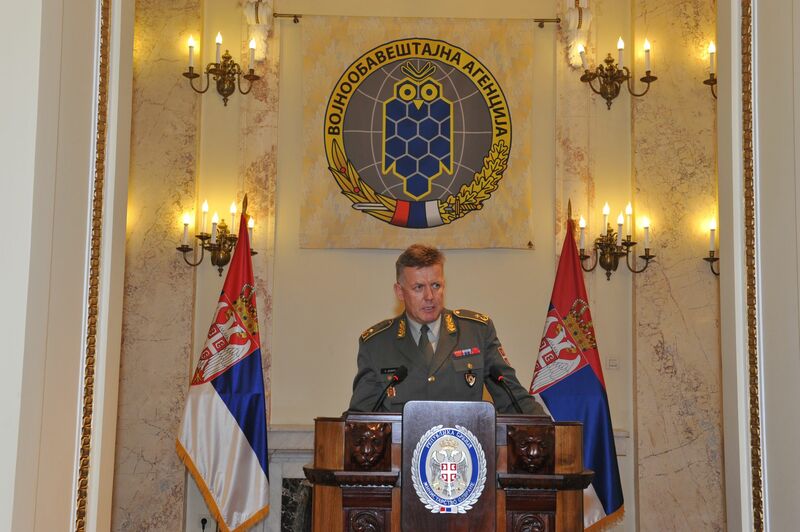 Brigadier general Dabic finished his professional military service according the law. 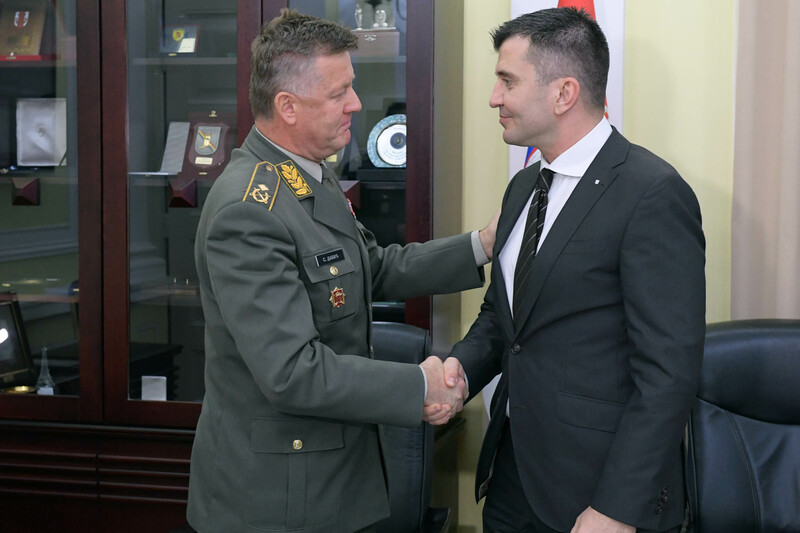 He has served in military for more than 40 years, successfully fulfilling numerous responsibilities and responsibly performing complex duties in the time of numerous challenges, which the military faced during the realization of its duties towards people and the state. 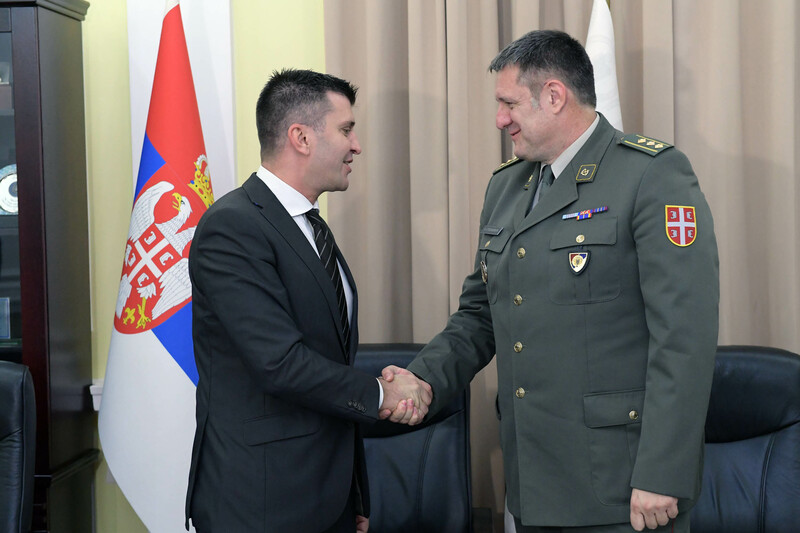 According to the decree by the President of the Republic of Serbia Tomislav Nikolic on finishing professional military service and by the order of Minister of defense, the transfer of duties between brigadier general Dabic and colonel Stojkovic lasted one month and ended today. 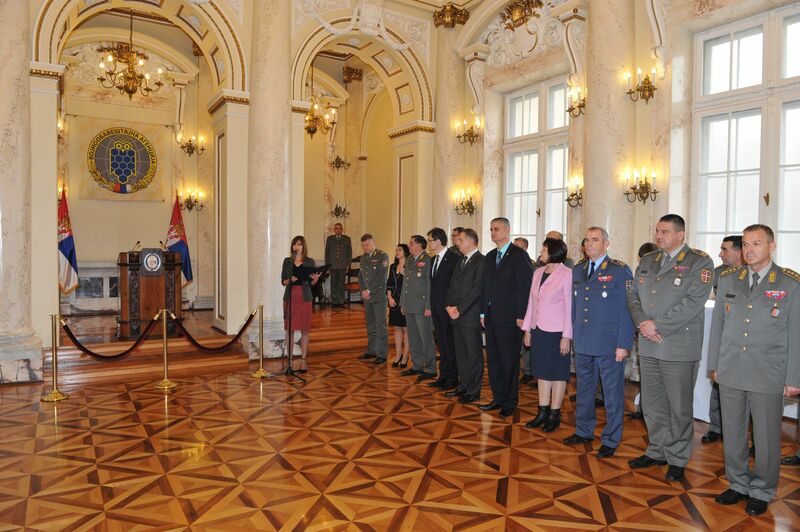 Farwell ceremony held on October 27, 2016 at the Great War Hall was attended by members of the collegium of Minister of Defense, members of extended collegium of Chief of Staff and members of MIA. 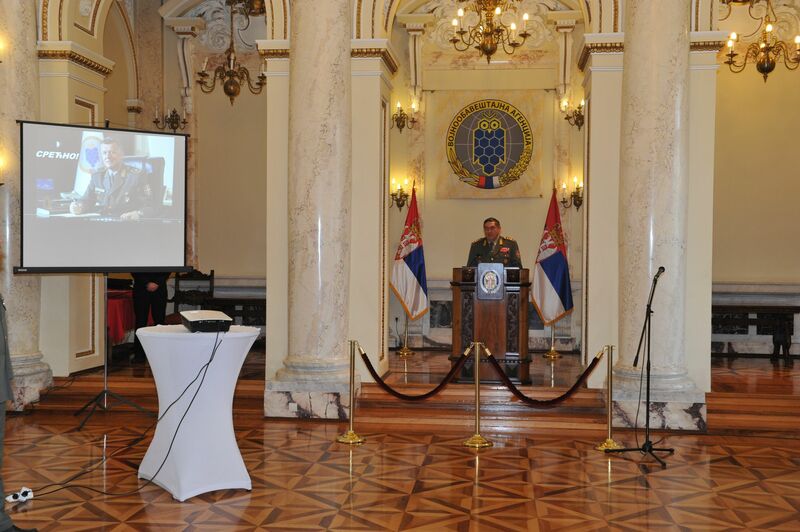 On that occasion, Chief of Staff of Serbian Armed Forces general Ljubiša Dikovic and brigadier general Dabic addressed the guests, as well as colonel Stojkovic, who presented brigadier general Dabic with the plaque of MIA.